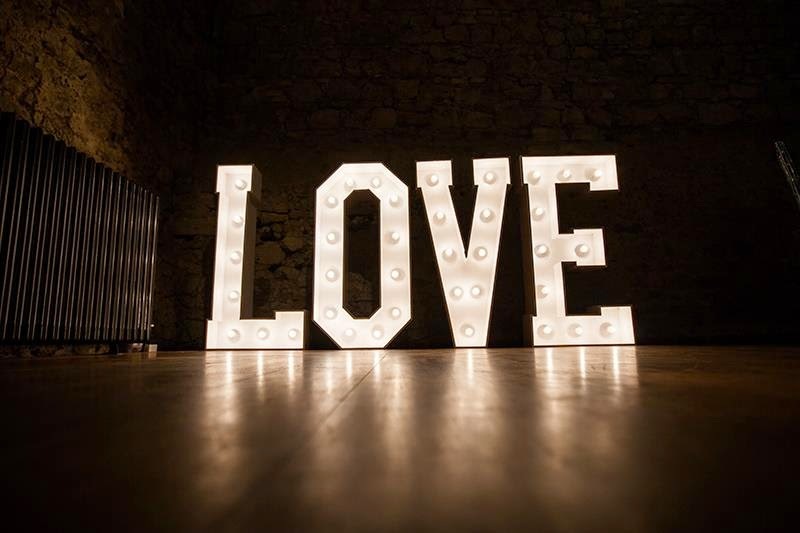 One of the things I'm so pleased I decided on for our wedding was these LOVE letter marquee lights. I'd seen them on Pinterest and various wedding blogs but never considered them for our wedding for some reason until about three weeks before the day. Everything else had been booked months, even years ahead of time but the LOVE letters were an impulse. I had to have them! I started googling companies to hire them from and emailed for some quotes. Before most companies had even had a chance to reply, Ben had been out to Wickes buying MDF and decided to make them instead.. 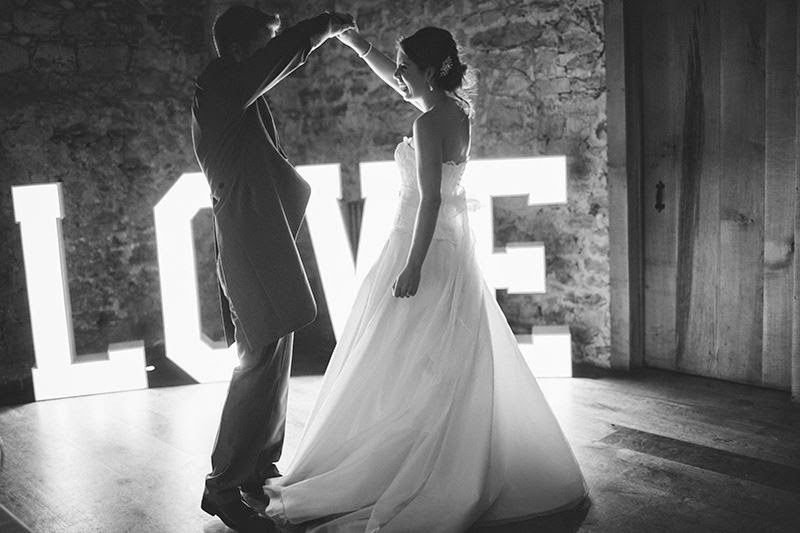 I had a hard drive failure that meant I've lost some of the making photos from the LOVE lights but essentially Ben measured and marked out the letters on 60cm x 120cm x 12 mm MDF and then cut them out using a circular saw. Then using 2 x 2 timber made a frame around the back. Our timber merchant cut another sheet of MDF into 30cm strips which Ben then cut to size to go around the outside of the letters. He then measured and marked out for the light fittings and drilled the holes to accommodate them. We used pendant lights with gold ball bulbs and pulled the cord through the hole and then connected them in junction boxes and have them wired so there is one plug per letter. We primed and then painted them white using satinwood paint and got an electrician to PAT test them which most venues require. They were such a nice feature on the day and were on throughout the wedding breakfast and the evening for people to dance in front of and take photos. 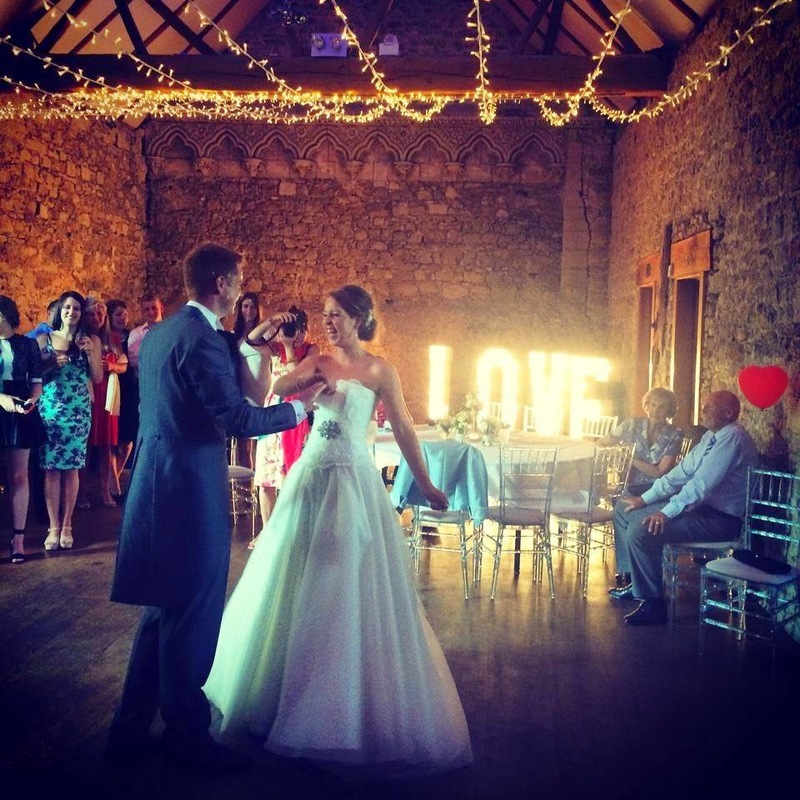 Since our wedding we've started hiring the lights out to lots of happy Brides and Grooms and are taking bookings. 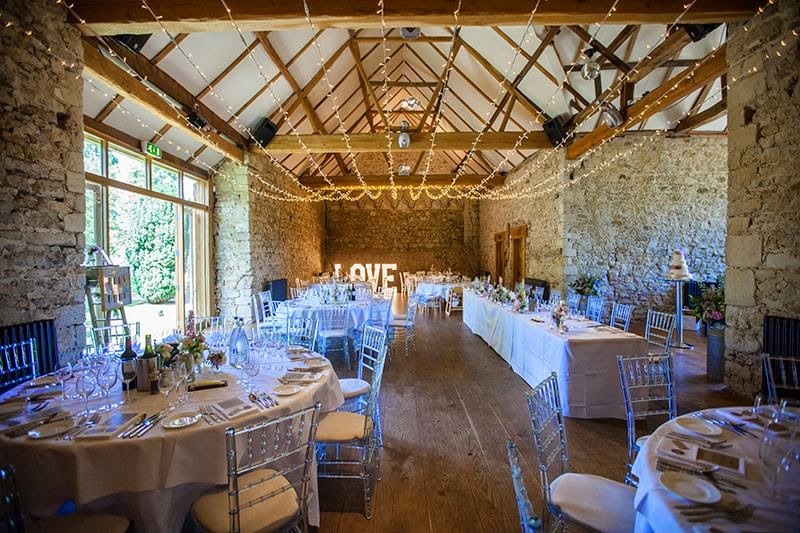 The lights have been electrically PAT tested for wedding venues and we give you spare bulbs although they should sparkle all night. 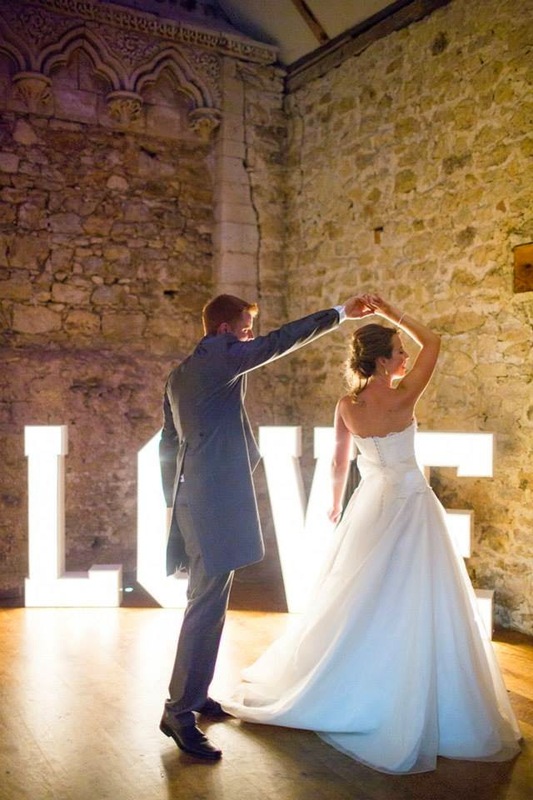 Our rates are half that of all the quotes I got back for hiring marquee lights. If you're interested feel free to email me rkedgley@hotmail.co.uk. Photos taken mostly by Binky Nixon Photography and friends and family at our wedding. Wow!! These love lights looks awesome and I love this idea. I am also planning my wedding anniversary party at Las Vegas Weddings venues So, I am finding some extraordinary ideas for a high level celebration. 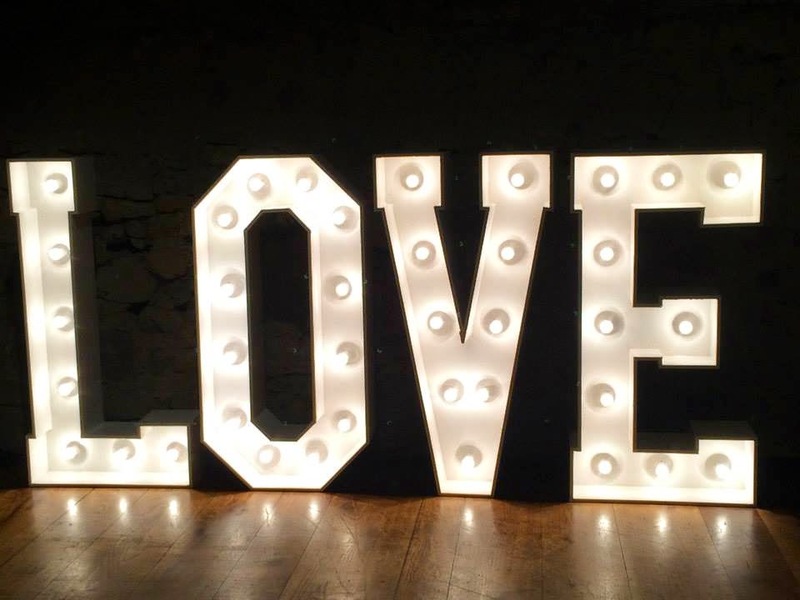 I think I should try this Love Lights in decoration. Thanks dear for this posting. 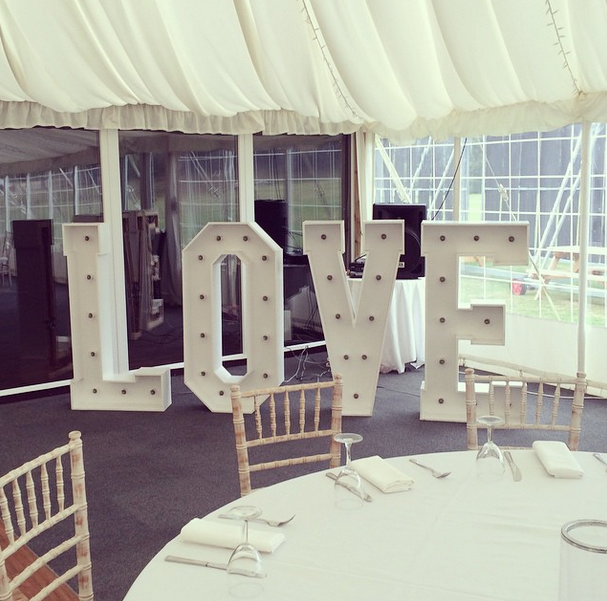 can I have a hire quote for the large 'LOVE' letters for one night please? What size are they? Is there a delivery charge? 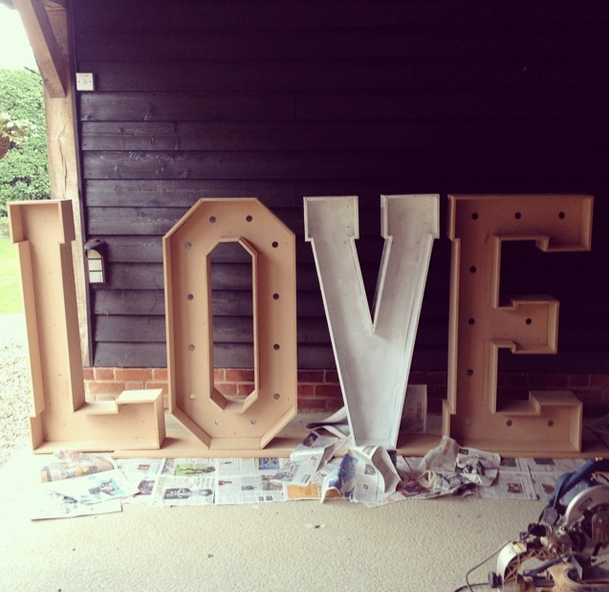 HI there, Love the idea of these letters!! I am getting married back in NZ and am having a close family friend make me some too. I have a question about the back of the lights, the casing that is around it is that right on the edge at the back or little bit forward so its stable? could you show me a picture by any chance? Any help would be greatly appreciated thanks !! !